Welcome to Our Dentist Practice. Dr. Matthew A. Stempowski and his entire staff are committed to providing excellent dental care in a comfortable atmosphere performed by highly trained dental professionals. We pride ourselves on being able to maintain reasonable fees for our services based upon the cooperation of our patients and their insurance companies. 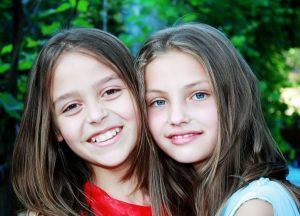 Whether you need a routine service like a cleaning or teeth whitening, or have bleeding gums, or cavities, or need dentures, whatever your case may be, we are prepared to provide you with the absolute best in oral care and dental hygiene to ensure you have the healthiest teeth and gums possible, with a beautifully bright smile. Valplast - The more comfortable, flexable, and esthetic option to traditional metal partials for tooth replacement. With Valplast, no one will know you are wearing a partial denture. Indentifi - Provides dentists and hygienists with as easy to integrate examination system for the early detection of a wide variety of oral diseases including pre-cancer and cancer. SoproLIFE - The state of the art method of detecting decay, using Light Induced Fluorescence for minimally invasive dentistry. SoproLIFE can aslo differentiate healthy tissue from infected tissue. KOR Professional In-Office Whitening - The KOR In-Office whitening system can make your teeth dramatically whiter. The office also uses BOOST In-Office whitening. Invisalign - The CLEAR alternative to traditional braces. The Invisalign clear retainers can be used to correct most types of dental problems, including crowding, spacing, crossbites and deep or open bites. itero - Digital scanning camera to replace impressions. mImplants - 3-D guided surgery to ensure proper placement. Digital X-Rays - The office does use Digital Radiography. 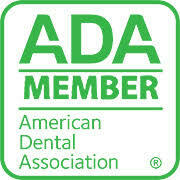 We are currently using the Schick Elite dental sensors, which have been rated #1 by the American Dental Association. The benefits of digital radiography are many. It offers 50% less radiation exposure than E-speed film and 75% less radiation than D-speed film. It eliminates the need for chemical processing, thus making it safer for the environment. It also provides an image in less than 5 seconds, which is dramatically faster than the 3 to 5 minutes it takes for conventional imaging. In addition, we are able to view the image on our 23 inch TV/monitors, which are equipped in every operatory. The Schick Elite sensors are the same sensors being used by the Cleveland Clinic and the only sensors manufactured in the U.S.
Also feel free to browse the about us section to learn more about our caring staff, our office (which services Lorain, Vermilion, Amherst, and Elyria) and our dentist, Dr. Stempowski.